Silken soft, functional and comfortable Moon Leggings are one of our favorite items. Designed with a cut for the heel to poke out, so everything stays in position and you can just focus on your practice. 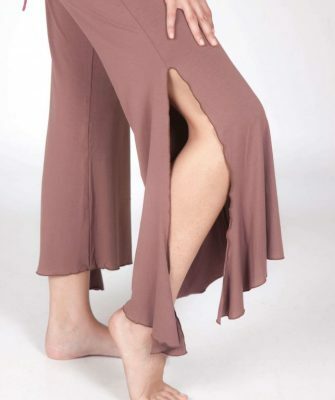 They are also great for layering in cold weather, or under a skirt and goes with any of our collection tops. 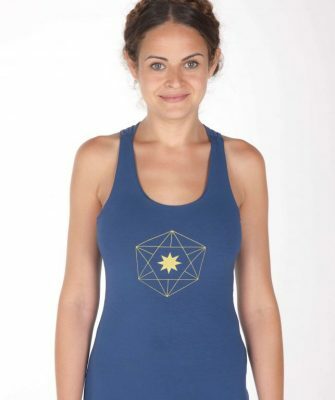 Featuring an elegant golden Moon Cycle print on the side. Slim looking fit, Moon Leggings feel like a second skin…you’ll never want to take them off! Available in Black, Off White, White, Indigo, Red Wine and Chocolate. You can see our colour chart here. Available in Black, Off White, White, Indigo, Red Wine and Chocolate.